Yesterday we announced the opening of the MAMP Channel at Vimeo. 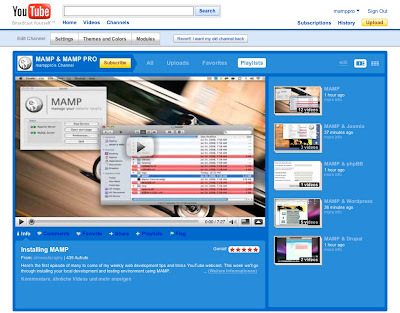 Today we are announcing the MAMP Channel at YouTube where you will find more video tutorials about MAMP & MAMP PRO. If you already made your own screencast about how to work with MAMP or MAMP PRO just upload it to YouTube and drop us a line in the comments so we can add it to our MAMP & MAMP PRO Channel. We promise to give you a mention and a backlink on our blog.